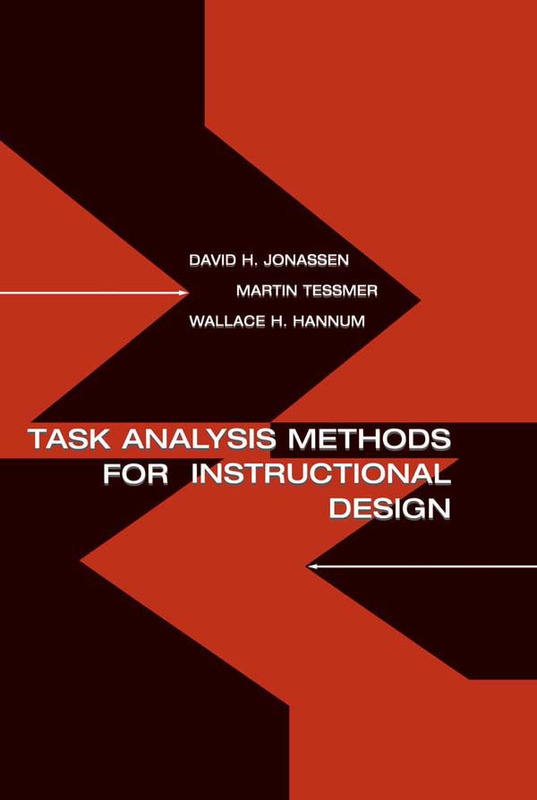 Task Analysis Methods for Instructional Design is a handbook of task analysis and knowledge elicitation methods that can be used for designing direct instruction, performance support, and learner-centered learning environments. Chapters follow a standard format making them useful for reference, instruction, or performance support. "I found the section on activity-based methods particularly useful: the task is elaborated within the context in which it must be performed." Contents: Introduction. Part I: Task Analysis Processes. What Is Task Analysis? Selecting Tasks for Analysis. Classifying Knowledge and Skills From Task Analysis. Part II: Job, Procedural, and Skill Analysis Methods. Task Description. Procedural Analysis. Job Task Analysis. Functional Job Analysis. Part III: Instructional and Guided Learning Analysis Methods. Learning Hierarchy (Prerequisites) Analysis. Information Processing Analysis. Learning Contingency Analysis. Part IV: Cognitive Task Analysis Methods. Goals, Operators, Methods, & Selection (GOMS). Prediction, Actions, Results, Interpretation (PARI). Decompose, Network, and Assess (DNA). Cognitive Simulations. Case-Based Reasoning. Part V: Activity-Based Methods. Activity Theory. Syntactic Analysis. Critical Incident/Critical Decision Methods. Task Knowledge Structures. Part VI: Subject Matter/Content Analysis Methods. Conceptual Graph Analysis. Master Design Chart. Matrix Analysis. Repertory Grid Technique. Fault Tree Analysis. Part VII: Knowledge Elicitation Techniques. Documentation Analysis. Observation. Survey Questionnaires. Interviews. Think-Aloud Protocols. Unstructured Group Interviews: Focus Groups and Brainstorming. Structured Group Interviews: Delphi Technique.